Click here to view the menu & order online! The secret to success is much like the secret to making a better pizza - the more you put into it the more you get out of it. We're as hungry for perfection today as we were when we first opened our doors more than 30 years ago. And we're driven to be the best at making innovative new products and recipes. 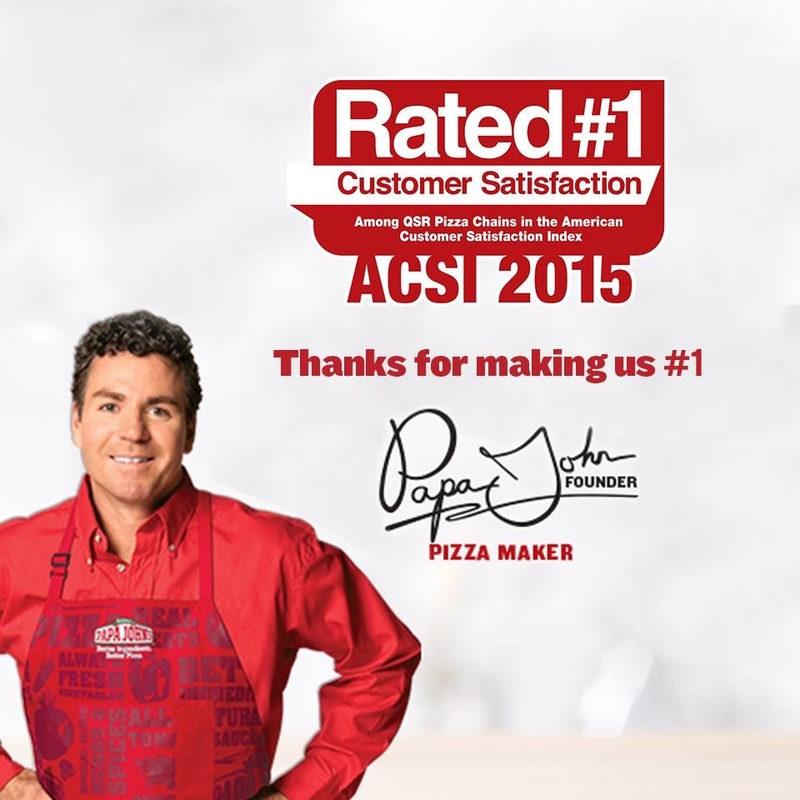 It's the foundation we started with, from the first Papa John's pizza that was made in a broom closet to now more than 4,700 locations in 37 countries around the world. Whether it's our signature sauce, toppings, our original fresh dough, or even the box itself, we invest in our ingredients to ensure that we always give you the finest quality pizza. For you, it's not just a better pizza. It's a family gathering, memorable birthday, work celebration or simply a great meal. 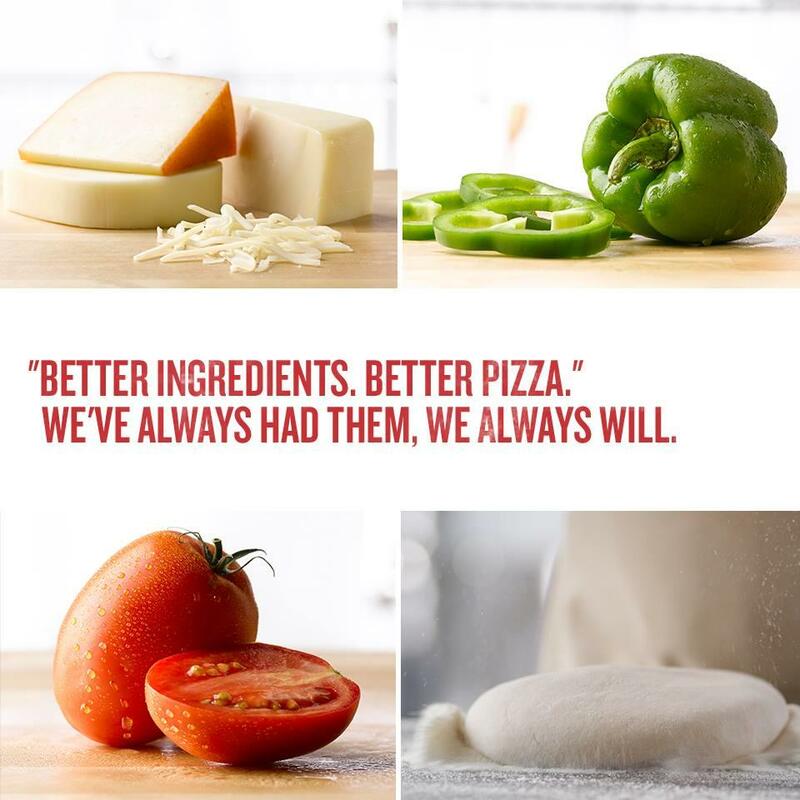 At Papa John's, it's our goal to make sure you always have the best ingredients for every occasion. 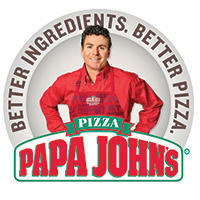 If you are the owner of Papa John's Pizza and would like to make changes to your business listing information, click here.